Philip Abadicio, the lifestyle maven and host of the new lifestyle TV show “Philip, Lifestyle Guy,” airing on TV5 every Sunday 11 a.m., has launched a new website for Lifestylers. It’s a lifestyle website made with an entertainment twist. 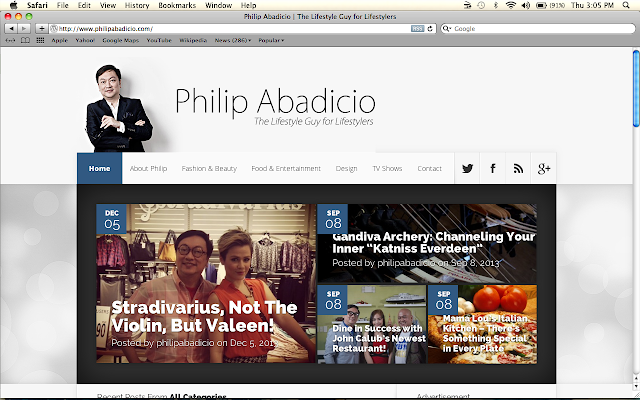 It’s a new online lifestyle source and the advent of our Lifestyle Guy’s website for Lifestylers, Philipabadicio.com. He has been writing about lifestyle. He is behind the successful campaigns of his clients’ lifestyle products and brands. As a PR man, he established RPA & Communicate where he mastered the ropes of the lifestyle industry. RPA is an acronym for real, personal and all-that style. He has hosted a lifestyle news program for the Global News Network, “Style RPA TV,” and a lifestyle magazine talk show called, “It’s More Fun with Philip,” on TV5’s news channel Aksyon TV. And now, he gives us Philipabadicio.com, the chronicler of the people, places and products that affect our vanity, dining, design and travels. The various features on his TV show will also be available on this site. This website is poised to give you a whole new lifestyle experience with entertainment segments. 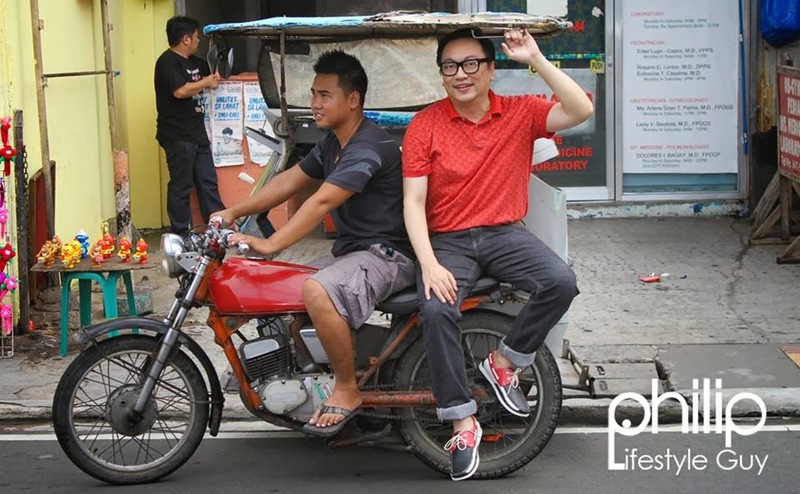 Philipabadicio.com brings to us the art and style of living with more in-depth information on some of the feature stories on Philip, Lifestyle Guy. 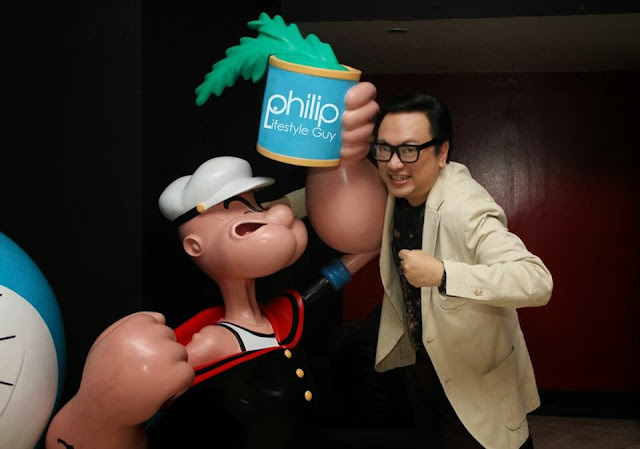 Philip Abadicio explains, “My website features fashion, food, arts, music, design, gadgets, and the artists, celebrities, etc. 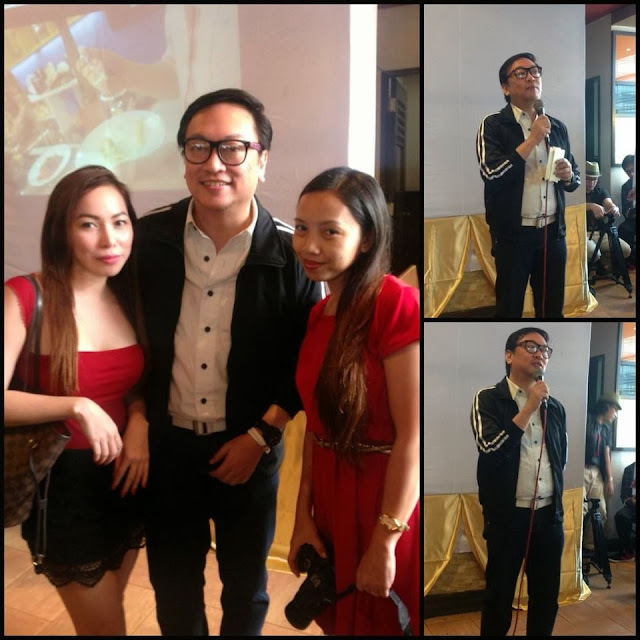 who I work with to put together our show plus all my insights and personal comments on the things we do.” TV5 management and artists have also been very supportive of his endeavors including the Lifestyle Guy’s website for Lifestylers. i've never seen this show yet. looking forward for this great show! Honestly I don't know him but good to know that he launches a lifestyle web for Lifestylers. Maybe I should watch his show on TV5. im curious, better watch this show.